Space Food Truck is complete. We have a lot of features, expansions and gametype ideas we could still add to it (maybe we’ll post some of that later), but there was another project being tossed around that we’ve really been itching to green light. In 2012 we made our first strategy game called Outwitters, and ever since moving on from that game we’ve had a pet obsession. When I looked through our “Outwitters 2: Think Again” folder just now (that was a working title), I counted 9 hex-based, PvP strategy prototypes we’ve tinkered with. Some were a lot like Outwitters, and some were barely recognizable. Finally, after 4+ years on and off experimenting, we’ve got it. A worthy successor. And that’s what we’re working on full time, starting next week. In about a year, we hope to have it ready for launch. There will be a Kickstarter, and we will need your help! If you haven’t signed up for the mailing list yet, definitely do to keep up with our progress. And you can also check back here weekly to peek over our shoulders while we work. 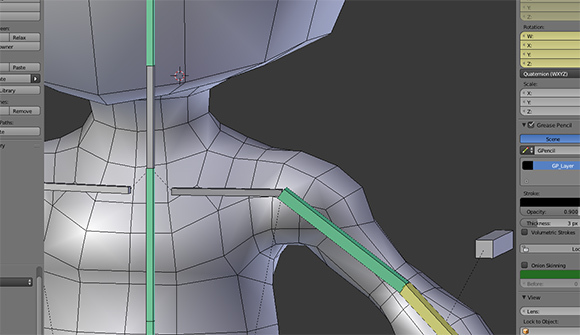 Testing how malleable Blender animation and rigs can be. Blank Man has become Lizard Man! After a little more than a month of 3d re-education, I’ve finally got a decent animation to show for it. 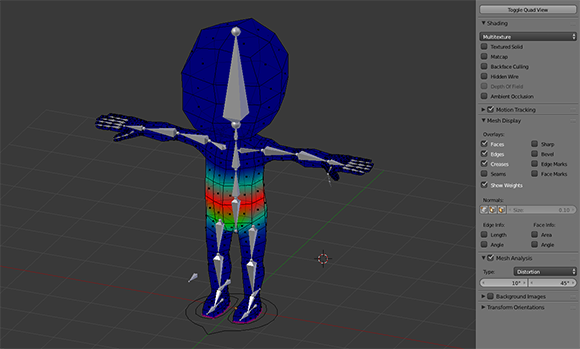 With some more experience, maybe I’ll be good enough for us to make a decent-looking 3d game. 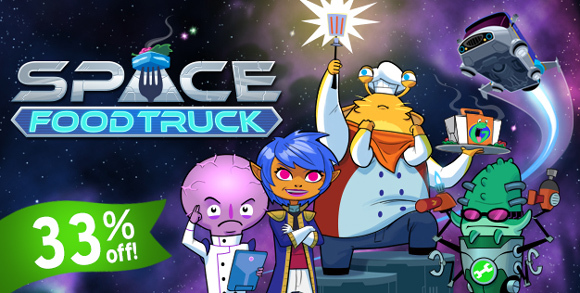 After a month or so of major overhaul to Space Food Truck‘s networking functionality, we’ve just released a convenient rejoin feature for online games! Now if a player is disconnected mid-turn, they’ll have a full 60 seconds to pick up exactly where they left off. There’s no longer a need for anyone to exit and rehost, or to retake the beginning of your turn to catch up. A popup will appear on the main menu after you’ve disconnected, or you can click “rejoin” in the “Find Online Game” screen. Of course, this feature is just the first big hurdle we needed to clear on our way toward full asynchronous support. Soon it’ll be much easier to find a crew for a pick-up game of SFT online, and you’ll have the option of taking your turns whenever it’s convenient for you.